When we purchase dietary supplements, we are doing so because we want to boost our health and wellbeing. We never purchase supplements because they taste good or because we have a craving. It’s always because we want to supplement our bodies with the nutrients needed to enjoy health and wellness. Since that’s the case, it’s clear that we want to ensure our supplements are manufactured to high standards and that what is printed on the labels are what we are actually consuming. If we consume ingredients that are not on the label or if those ingredients are compromised with toxins or contaminants, we could end up causing health issues instead of promoting good health like we had intended. That’s why we rely on set standards to ensure we are getting the quality we are paying for. The problem, however, is that the U.S. doesn’t set standards to regulate how supplements are being manufactured and what ingredients are going into them, so there are often contaminants and unwanted ingredients in our supplements. There are many companies that jump on the bandwagon of any new herbal supplement that Doctor Oz or any other professional promotes, and too many of them are more concerned with making a buck than they are with the safety and effectiveness of their products. There are no requirements to demonstrate that a supplement works, or to show that it is consistent from batch-to-batch, or that the ingredients on the product label are consistent with the ingredients in the product. · In Europe, supplements are regulated as foods and it is done before the product is allowed to go to market. In the US, dietary supplements are regulated differently from food and drugs. The FDA puts the responsibility on the manufacturer to follow the guidelines and regulations for safety and efficacy, and the FDA is responsible for acting after the product hits the market if complaints are filed. · In Europe, a list of vitamins and minerals that are safe to use in supplements is provided, and if a supplement manufacturer wants to use a vitamin or mineral that is not on that list, premarket approval must be received to ensure their safety before going to market (this process can take 2-3 years to achieve and can cost $119,999 - $372,000). In the US, anyone can sell supplements without premarket approval, and specific ingredients are not looked at. · Since excessive amounts of vitamins and minerals can lead to adverse effects, maximum levels have been set for each vitamin and mineral used in a supplement in Europe. The US has no such regulation on dosages. · GMOs are not allowed in European supplements. In the US, there is no such regulation. A large percentage of people now take supplements as a way to enjoy better health. At the same time, most people are confused about what supplements they should take, which brands are best and what all the different options really mean. 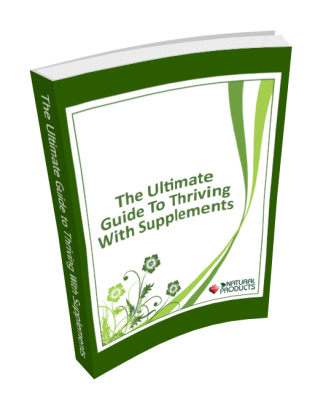 That’s why we’ve created The Ultimate Guide to Thriving With Supplements. And it can be yours today for free! Whole food or synthetic supplements – which is better? Does it matter if your supplements are GMO-free?